My work is about mixing textiles with wonderful hues & textures to create unique jackets & purses using my own designs. All work is done my me using industrial machines. 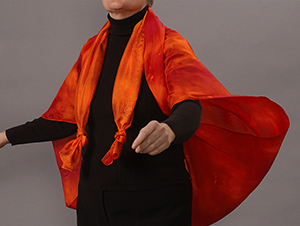 Hand-dyed silk and cotton jackets, original designs. Hand-dyed silk scarves. Hand-dyed cotton napkins. Hand-dyed dog scarves. Hand-screen printed, original design t-shirts.